It’s been a tough 48 hours around my world lately. A friend died Saturday. She was diagnosed with acute leukemia on Thursday, and they first scheduled chemo to start Monday. Then she returned to the hospital Saturday, was put on oxygen, was supposed to start chemo that day, and died by evening. And now we are learning that for weeks she was talking to her doctor about knee pain and exhaustion. As many would not be surprised to hear, they just said, “Lose weight.” She was an active fencer, practicing 2-4 x a week for easily 10-15 years now. But the tests that uncovered her cancer were not administered until too late. But as much as I want to be angry and tag things #fuckcancer, and I legitimately feel sadness and loss and grief, there’s a heavy layer of complications. She was sometimes a tough friend to love. We had our struggles. We had our distance later. No one is universally beloved and adored. All of us make friends, make mistakes, have loss, and make changes in our lives. We fall in with friends, we fall out from friends, we move on. And we can never know who will be gone the next time we turn around. It is so complicated to process everything about losing her. The suddenness of her death just makes things that much harder. I’ll never see the color pink without thinking of her a bit. I’ll never think of the 3 Drunken Celts without remembering her appreciation for, and love of, whisky. 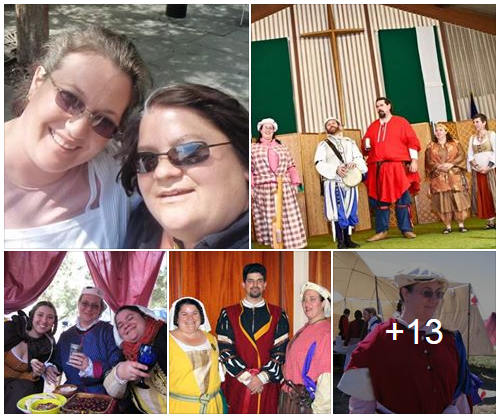 She was one of the regulars who used the Google+ group to keep writing new posts, new reviews, new event invitations. She was also in the same professional field as me, technical writing, so even in my business world I think of her on occasion. She could be brash and forceful. She could be selfless and caring. She wanted so much to fit in and have a place and have friends who loved her as fiercely as she wanted to love back. She was human. She burnt some bridges. She was unapologetic about what she felt strongly towards. And she was still trying to go full-steam up until the very end. So many of us hurt at her loss. And I’m fairly certain she would be shocked at how many people she touched. She really felt so under-appreciated for years. If you have strong-willed people in your lives, don’t assume they have it all together. No matter who it is that you love and appreciate, please try to let them know. I smiled while reading this, because omigosh yes. The SCA will be a lesser place without her in it, no doubt about that. I loved Rhawnie’s tribute, because it was just so MEALA, you know?